Who didn't like this game? 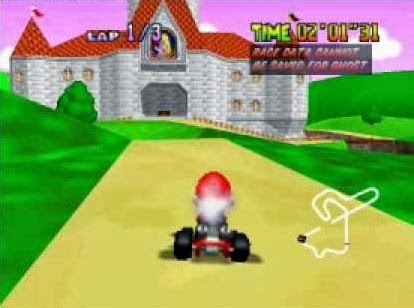 It was the only racing game that really kept a place with Mario Kart. And it did so by expanding what a racing game could be. It had exploration, secrets, challenges, mini-games, all wrapped up in a pretty layer of polish. 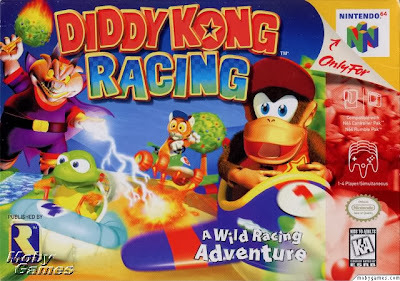 Let's revisit one of Nintendo 64's greatest racers, Diddy Kong Racing. Look at those cheery faces! Now that's a select screen. Colorful dancing animals and music that changes as you hover over each one. There are even secret guys here, front and center. This game just has fun written all over it. I grew up with very competitive brothers and we all loved playing racing games together. We also had a tendency to want the same character, so rushing for Tiptup was always chaotic. Even the mysterious secret character Drumstick wasn't good enough for a mad scramble. My brothers and I were young. Our logic was simple. Tiptup's car was light blue. Thus he is clearly the fastest. He's also a turtle, making it ironic, and if it's ironic, it must be true. Toad was chosen for similar reasons in Mario Kart 64. We tried and tried, but it literally took years to unlock T.T. the clock. Those challenges were nearly impossible for us as kids. I remember thinking it was just a rumor until my brother showed me the screen seen above. After some screaming I finally began a habit of believing nearly every rumor I was told about games and going to great lengths to unlock secrets. I remember a handful of racing games I played on N64 and this one is among the top two. It felt so unique and awesome in every way. Rare's take on kart racing felt like a sequel to Mario Kart. 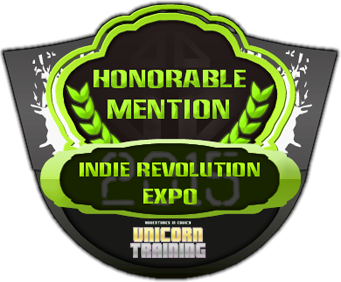 It had colorful 3D graphics, more characters, more tracks, more vehicles, more mini-games, extended challenges, and an adventure mode. The only reason I can't say it's undoubtedly better than Mario Kart is because Mario Kart blew my mind first. This game took the simple kart racing concept further by introducing multiple vehicle types that could race one another. Planes could race alongside hovercrafts and cars in most courses. There were also preset items that changed the outcome of a race. Unlike Mario Kart these items were constant, visible, color coded, and stacked over each other to increase effectiveness. It didn't matter if you were in last place or first, everyone had access to the same items and if you strategized well, you could use them to boost ahead or cripple opponents. I think the thing this game did best was give a reason for the racing. Not just a story, but a strong sense of progression. You play adventure mode and you unlock contents. You earn new levels. You're rewarded with new mini-games and race challenges. You collect balloons and open literal doors to new levels to play outside of Adventure. If you go off the beaten path and explore new territory you find hidden levels with unique themes (which tend to be the coolest, i.e. Space and a Dragon's Village). I liked that so much because the more I played this game I loved, the more reasons I had to love it. The package I would have been happy with came with extra after extra, making it feel like an infinite source of entertainment. Even when save files were deleted multiple times it was never frustrating getting back to where I was. I felt like an expert on my second and third times through the game's main quest. After you beat the game once you get to do it again with more insane challenges and mirrored courses. And when I say the challenges are insane, I mean oatmeal crazy. They took countless tries, screams of frustration, and controller passing to conquer one-by-one. This game was merciless to children. Unless you raced perfectly, those coveted unlocks would never be yours. Only the select elite were allowed to play as T.T. after all. Just look at that's clock's face. You can practically hear him whispering "You wanna play as m don't ya? Well that's too bad. I don't do noob tier. Get on my level fool 'cuz I don't play with no chumps. Get some keys and race me 100 times. Then we'll talk." What a jerk... I need him. Another thing I liked was the variety. If you got tired of one thing you could switch to another. Race some dudes, race a ghost, race a boss, steal dinosaur eggs, drive around squashing frogs, race a genie, collect coins, do whatever. And all races can be done it land, sea, and air tripling the possibilities. When playing this game there were goals to accomplish. You collected balloons to unlock worlds, tracks, and bosses. You collect keys to open challenges and mini-games. You collect silver coins to unlock super-bosses. You collect pig faces to make a mountainside open it's mouth. You collect bananas because... Monkeys or something. It's just a constant stream of motivators for you to play. You're always after something in a race besides coming in first place. There are just not enough games that do that. This game was wide open if you played long enough. In fact, having everything unlocked from the start would just be overwhelming and take attention away from the product overall. It takes a few bites to get to the center of a sandwich. Each world felt gigantic. Each track felt like part of a larger world. A world I'd be exploring if I weren't so caught up with racing. The first time I felt this in a racing game was in Mario Kart 64 where you could drive up to Peach's castle. This amazing discovery made my head hurt. 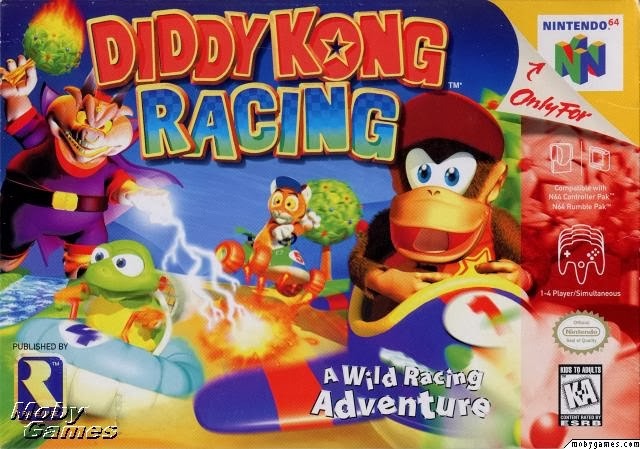 Diddy Kong Racing made no promises and still delivered more than I knew could be delivered. I thought I found a racing game with Mario's unknown C-listsers (who go on to star in other games), but what I really had was a racing masterpiece. Hours of fun, bonding with my older brothers, and expanding what I thought games could be... This game did a lot for me. If I ever make a racing game, I know where to start for notes and research. Combine elements from other genres. Make a living, breathing world. Shock players with unexpected optional content. You know tons of this game's stuff would be DLC today. Back then, DLC was in the form of secrets. Secrets only discovered by accident and word of mouth. There was something mysterious and magical about game rumors before the internet. Anything could be true and seeing a secret made you feel like a witness to a rare cosmic event. 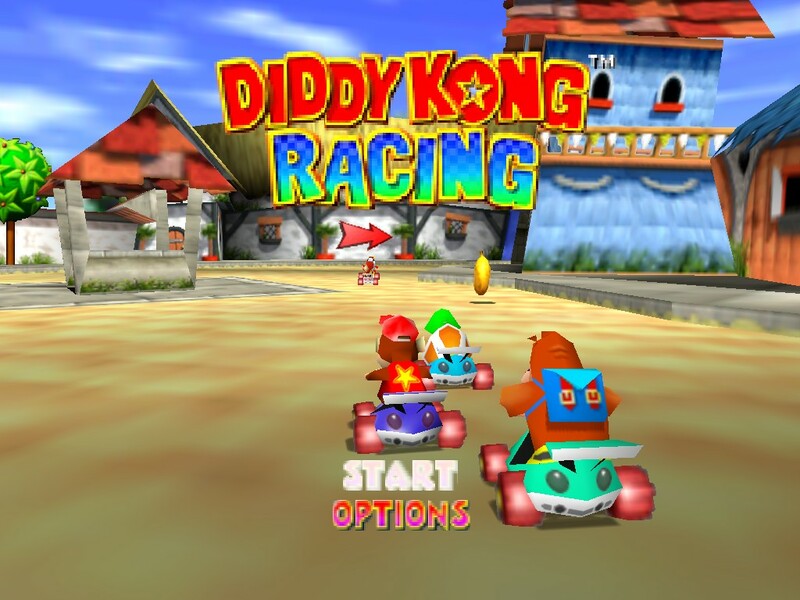 Diddy Kong Racing has always been alternating with Mario Kart 64 in my head. After writing this, I think I can confirm that I personally love this game more. It's just better in every way. I think nothing has passed this game to this day in my books. If you can think of any reason why it isn't the best kart racer ever mention something in the comments.